The holiday season is gearing up for a big kick-off and we know you’re excited. Mixed in between your thoughts of turkey dinner and a hot toddy, you’ve probably been dreaming about snagging some amazing deals over the Thanksgiving long weekend. Any who wouldn’t be? Black Friday and Cyber Monday are coming down the broadband pipeline and we’re as excited as you are to take advantage of some of this year’s amazing savings. Almost every year at this time, we see some deals come along in WordPress space that are just too good to pass up. As a matter of fact, there are usually so many amazing deals out there, it’s difficult to keep track of them all. Almost without fail, you end up missing out on something and having to wait another 12 months. Because we want you to be able to relax while digesting your turkey feast, we at Designbombs.com have done most of the hard work for you. That’s right, we’ve assembled a list of deals that you definitely don’t want to miss out on. These deals are “da bomb”– so good we almost didn’t want to post them here for you. But then we realized, “hey, that wouldn’t be cool. Let’s share them.” So dig in, enjoy your long weekend with family and friends and don’t forget to load up on some of these awesome deals. 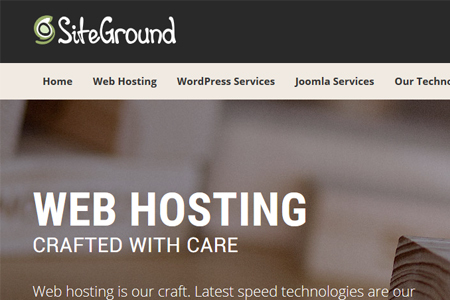 SiteGround is one of the best WordPress hosting providers, we have been using them to host one of our sites, and their support is fantastic. 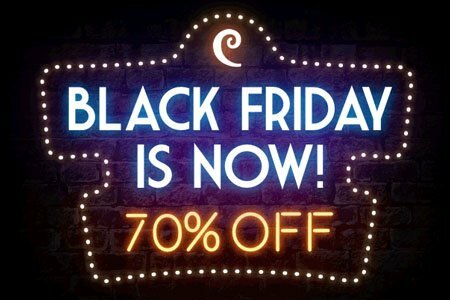 This Black Friday they are offering up to 75% OFF. This deal is valid from Nov 23 – Nov 28. 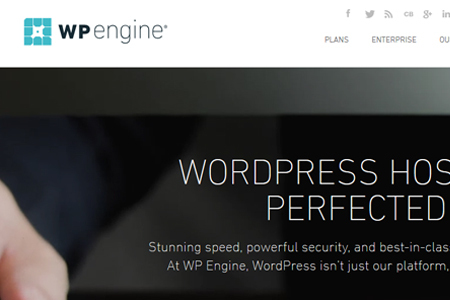 WPEngine is the best choice for managed WordPress Hosting, they have been in the market longer then any other managed WordPress (except WordPress.com VIP). They provide world-class support and fantastic infrastructure. 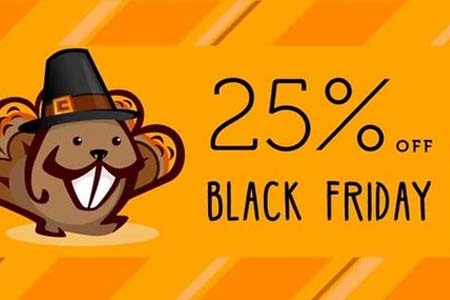 Save 35% off the first payment with WP Engine, valid from November 22th through November 26th. No coupon code is needed, the discount will be applied automatically when the deal goes live. This deal is valid from November 23rd until November 26th. Beaver Builder is powerful tool for customizing WordPress themes. When it comes to design and speed, Beaver Builder beats the competition. See our Beaver Builder review to learn more about the plugin. No coupon code is needed, the discount will be applied automatically at the time of checkout. 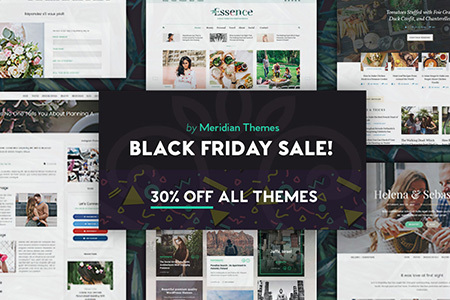 MeridianThemes have been in the market for a long time and are behind some really cool WordPress themes & plugins. 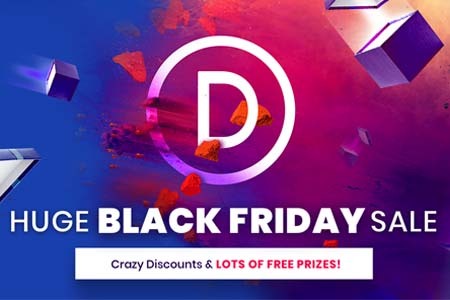 This Black Friday, they are offering 30% discount on all their themes. No coupon is required, prices will be slashed when the deal goes live. Valid from Nov 23 – Nov 27. 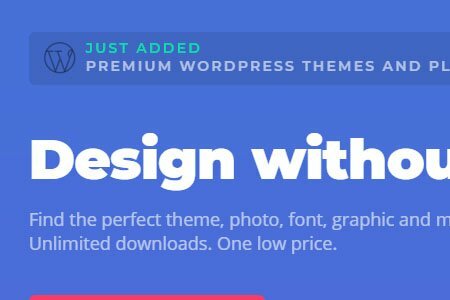 Envato Elements is a new-ish marketplace, where you can graphics, add-ons, fonts, web templates, presentation templates, stock photos, WordPress themes, and plugins. They are offering a 33% discount on annual subscription. Valid from now until Nov 28. 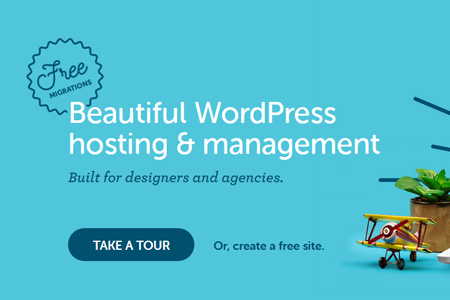 FlyWheel markets itself as WordPress hosting for designers and creative agencies. And they have done a really good job at that — offering some cool and useful features that not any other hosting offers in the market. Their interface is really nice and sleek, plus they offer free migrations. This season they are offering 3 months of free hosting. Offer valid from Nov 23 – Nov 30. Some of the best deign products such as Slides Framework, Qards plugin, and Flat UI are created by DesignModo. They also created a fantastic marketplace for authors to sell their products. This season DesignModo is offering 60% off discount on their products and Market. 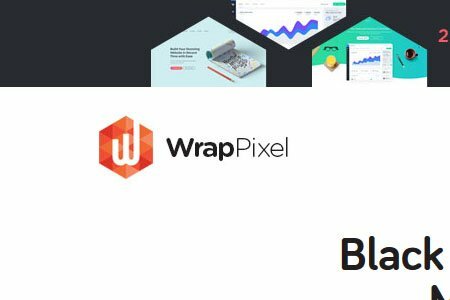 WrapPixel offers High Quality Free & Premium Bootstrap Admin Dashboard Templates and UI Kits. Get 25% Discount on all Premium Templates and 90% discount on MegaBundle. The deal is valid from November 24 until November 27. Iconfinder is an amazing resource for unique and well crafted icons. They are offering 70% off all Pro subscriptions on both monthly and annual plans. Use the below link to avail the offer. That’s all for now. We will be updating this post and adding more deals, as they come. If you own a great product, that we missed, please let us know in the comments below.Also take a look at our deals page, where you can find more regular deals & coupons.